Readers, today Contributing Editor Kathie Scrimgeour introduces us to Margena Adams Holmes in her regular Meet the Member post. You can reach Kathie here. Please meet PPW member Margena Adams Holmes. She is an observer of life, and many everyday things could (and do!) end up in her writings. She has written for Examiner.com, Kapost, and the now-defunct Yahoo Contributor Network, where she earned the title of Top 500 Contributor for her story on the Black Forest fires in Colorado. She has been an active volunteer with Pikes Peak Writers since 2016 and favors the monthly Write Brain. KJ: How long have you been writing and what genre do you prefer to write? MARGENA: I have been writing ever since I can remember! I wrote poems in school, and minored in English in college. But I started getting serious about it and working on novels about 18 years ago. I took a little break for a few years to raise my family and just started writing again about 10 years ago. I prefer writing Science Fiction/Space Opera because I can create anything and have my characters go anywhere because it’s my world. I’m a big Star Wars and Harry Potter fan (Yeah, Gryffindor! ), so that influences me a lot. I have written a general fiction novel as well. KJ: Do you have anything in particular you are working on right now? Tell us a little about it. MARGENA: Right now, I’m working on the second in what I hope will be a trilogy, titled The Elixir Trade, which I’m editing/rewriting at the moment. The first in the series is called The Elixir War. The elixir was discovered a thousand years ago which gives people certain abilities based on the person’s genetic make-up. The antagonists want it so they can have control over their people and take advantage of others. Prince Jory and the Royal Planet Fleet have their work cut out for them in trying to stop that from happening. KJ: Have you set any goals for your publication date? MARGENA: I’m shooting for Spring 2018. I’m hoping to get it to an editor by December. KJ: Do you set daily, weekly, or monthly writing goals? If yes, what are they? What do you do to insure you meet these goals? MARGENA: I set daily goals of 500 words. That may seem low, but I have a day job as well, and a family. Some days I make that goal easily and then some; other days it’s a struggle. I participated in Camp NaNoWriMo in July. I set my monthly goal for 20,000 words, and I made that with two days to spare! When I’m writing, I pretty much tell everyone to leave me alone! Ha ha! 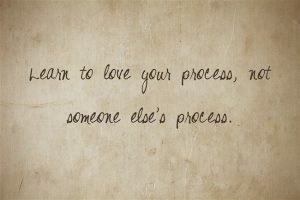 I try to treat it like a job and limit distractions, but sometimes life gets in the way. If the phone is ringing a lot, I bring the phone to my desk, thus ensuring that it WON’T ring anymore! Murphy’s Law and all that. KJ: You have two books published and one on the way, what important lessons did you learn between writing The End and getting to publication? KJ: With every accepted manuscript there are many rejections, how do you get past the "No's"? What best advice, or lessons learned, have you gotten from them? MARGENA: Some No’s are encouraging. I’ve gotten form rejections. You know, “Thanks for letting us consider your story. While it looks intriguing, we’re inundated right now.” But a couple have been encouraging. I sent an article to a national woman’s magazine a few years ago. I got a rejection, saying that they don’t publish works of writers without national experience, and to let them know when I DID have that experience. I was going to start papering my walls with the rejections! After a while, you just get used to the No’s, but you keep going. Just because someone rejected the story, doesn’t mean they are rejecting YOU. You keep writing to get better. I was happy when self-publishing became a thing, though. KJ: Do you face road blocks as you write? What do you do when it is winning over writing? MARGENA: Yes, I do face road blocks. Head, meet desk. If I’m having trouble with my writing, it’s just not working out, I seek help in the writer’s groups I’m in, both on Facebook and Pikes Peak Writers. I’ve met quite a few helpful people through both places. I was having trouble with my book cover for Dear Moviegoer. The cover was printing too dark on Create Space. Could not figure it out. I had heard KL Cooper talk at the mini conference and Friended her on FB. She heard of my plight and took pity on me and designed an awesome cover. Other times, taking a break for a day helps with the road blocks, and things then seem a lot clearer. KJ: Writing conferences, workshops, and critique groups are an important part of the new writer's experiences (and more experienced writers too!). How have they helped you? MARGENA: Oh, my gosh! Where to start? When I lived in CA, I went to a couple of writer’s conferences, and just one workshop was so helpful, it was worth the money of the conference. It helps to get a fresh set of eyes on your work at critique groups. I went to the PPWC mini conference this year and took lots of notes. I go to Write Brain every month. I feel I can never learn enough about writing and I always learn something at the conferences, webinars, critiques, etc. KJ: Do you have any "self-help for writers" books that you use regularly? How do they help? MARGENA: I do! They are marketing books, because as a self-published author, you have to wear many hats! The Author’s Guide to Selling Books to Non-Bookstores by Kristina Stanley, and Online Marketing for Busy Authors by Fauzia Burke have been very helpful with ideas and strategies to getting my books “out there.” I also want to get Stephen King’s On Writing: A Memoir of the Craft. KJ: Does your reading influence your writing? How? MARGENA: You must be a reader as well as a writer in order to write your stories. When I sent one of my manuscripts to a publisher when I was first starting out, they suggested that I read more in the genre I wanted to write in. I picked up Sandra Brown’s Fat Tuesday. I had read the required books in school like Hamlet and Grapes of Wrath and the Little House books, but those weren’t my writing genres. I loved how the story flowed and I could “see” the action happening in my mind. Reading her books and books like the Harry Potter series have helped me fine-tune my writing. She has been my biggest influence and I got to meet her last year at a book signing in Castle Rock! Scratch that one off the Bucket List! Margena currently lives in Colorado with her family, where she enjoys hiking, photography, singing, scrapbooking, and couponing. She also loves Star Wars, Star Trek, and going to the Renaissance Festival each year. Although she is in Colorado, she still supports her Los Angeles Kings and Los Angeles Dodgers. Today, Kathie Scrimegour, Meet the Member and Sweet Success editor, shares her recent interview with member Maria Melendez Kelson. We're pleased to share successes and highlight our diverse membership. Kathie can be reached at ppwsweetsuccess@gmail.com. KJ Scrim - I read that you are a poet and a mystery writer. Does one help with writing the other? How? Maria Melendez Kelson - Both poetry writing and mystery writing involve a dance between fulfilling and subverting a reader’s expectations about form and structure. Poetry taught me to look for opportunities to use unexpected phrasing, and to appreciate the potential for patterning in the physical sounds of language. Fiction teaches me to look for opportunities for unexpected emotions or events, and to appreciate the potential for patterning in symbols and motifs. 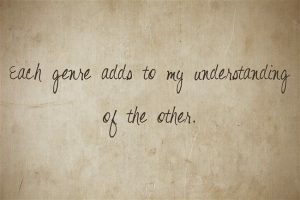 Each genre adds to my understanding of the other. I wouldn’t go so far as to say one helps, or doesn’t help, the other. Who knows? KJ - What are you working on right now? Maria - I’m writing a contemporary mystery set in the redwood country of northern California. 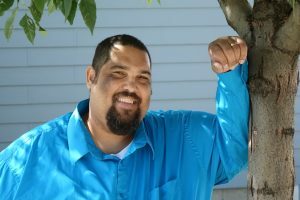 The lead character, Boots Montoya, is a multiracial single mother of an adopted teen son. She’s an education reformer with a lot of do-gooder self-righteousness. But when her son is accused of the murder of an undocumented boy, she becomes a liar, a prowler, and a thief in her struggle to find the real killer and exonerate her kid. Clues lead her deeper into the area’s Spanish-speaking immigrant community, out to the wild Pacific coast, and into the ancient forest backcountry of Humboldt County, where she discovers a clandestine camp for teenaged domestic spies. If she fails to find the threads connecting these worlds, it could cost her son his freedom. When the killer learns Boots has come too near the truth, her search for answers becomes a fight for her very life. KJ - You were recently selected for a writing residency at the Santa Fe Art Institute. What did you have to do to secure this residency, and what does this mean to you as a writer? Maria - The Santa Fe Art Institute has a theme each year for what they call their “sponsored residencies.” These are residencies for which the cost of housing is underwritten by sponsors, and residents need only pay for food and personal needs while living on-site. Apogee Journal, a literary magazine I follow, tweeted out the SFAI call for residency applications, where I learned the theme for the upcoming residency year was “Equal Justice.” I thought—isn’t this a concern of many crime writers? It’s a concept that raises driving questions for the characters I’m writing about. The application requested a current work sample and a proposal for work to be done at SFAI. So I sent sample chapters from the work-in-progress, and … *gulp* … a brief outline of a “Book 2” with these characters. This felt like a huge leap of faith, since I’m still revising Book 1. I submitted the application in February of this year. When I found out in July that I’d been selected for a residency, it meant a panel of strangers that included writers, residency staff, and other artists had seen value in what I am doing. This was a significant affirmation, and a handy little oar for (what feels like) my solitary writing raft. I’m not really going a whole lot faster with one oar, but it’s something to hold onto, and I might be able to beat back a shark with it. The residency itself, I imagine, will be a big fireworks show of inspiration! I’ll be living at the Art Institute for the month of July 2018, which is a month the brilliant SFAI staff have designated for artists who are parents. I’ll have my family with me, and I’ll be living with seven other residents from multiple disciplines and their families. SFAI provides an apartment and a separate studio workspace. I’m so excited to learn about the other artists’ creative processes, and to see what kinds of unpredictable things come of our time with each other. The only thing I’m tasked with doing, as a resident, is my own writing, but residents are encouraged to interact and collaborate if their muses move them to do so. For writers who are starting to build a record of publication, or for established writers who could benefit from a concentrated period of time in the company of other working writers or artists, applying for residencies is a great way to validate that your work, and the time needed for your work, are things to be taken seriously. KJ - What do you do when procrastination is winning over writing? Maria - I’ve gotten better at measuring when I am truly procrastinating and when I am simply living my life. I used to think that ANYTHING I did that wasn’t writing was a way of procrastinating from writing. For this reason, I could feel guilty brushing my teeth, guilty about taking my car in for an oil change. Who can live like that? Now I make a weekly writing schedule at the start of the week, and set the expectation that I’ll be at my desk during those times. When it’s not those times, I consciously let go of guilt or anxiety about whatever it is I might currently be working on. Something that helps me do this is physically putting the work back in a drawer after each session. When it comes to maintaining focus during a scheduled writing session, I have a couple of tricks: tracking my focused time in 25-minute increments (aka “the Pomodoro method”), leaving the home modem off, and keeping my writing desk generally free of non-writing related stuff. KJ - Writing conferences, workshops, and critique groups are an important part of the new writer's experiences (and more experienced writers too!). How have they helped you? 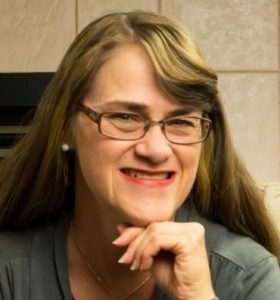 Maria – Pikes Peak Writers Conference and SleuthFest (a mystery writers’ conference in Florida) have both been great for how-to sessions and for unparalleled opportunities to network with agents and editors. Although I’ve only attended one or two events in each case, I should also mention that I’ve learned quite a bit from periodic free or low-cost workshops run through Pikes Peak Writers Write Brains, Pikes Peak Writers Critique Group, Romance Writers of America, and Colorado Sisters in Crime. The volunteer person-power that goes into running these public events year-round is staggering, and every one of these organizations’ board members and volunteers deserve a room of their own with unlimited chocolate, coffee, and craft beer in that great writer’s retreat in the sky. Sisters in Crime runs a wonderful workshop the day before the annual mystery fiction fan-con (aka “Bouchercon”) that I’ve attend a couple of times. It’s for Sisters and Misters! 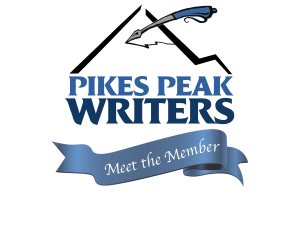 My local anchor for professional development as a writer has been the Rocky Mountain chapter of Mystery Writers of America. I attended their monthly dinners, where there’s always a generous and free-flowing exchange of information, heartaches, and triumphs. Members range from newbie writers to established bestsellers with 30+ books in print. Because it’s the largest writers’ conference in North America, the Association of Writers and Writing Programs (AWP) conference is a wonderful place to meet other writers of color from around the country for fellowship and mutual support. In fact, writers of many stripes can find their tribe there. There are panels for and about writers with disabilities, writers who’ve lived abroad, veterans who write, etc. As a poet, I’ve presented at AWP a number of times over the years, and two years ago I put together a panel of women of color who write crime novels. The chance to connect these novelists I admire with potential new readers in the audience was a real high, for me. As far as critique groups go ... over the last 20+ years I have lived in Wyoming, South Carolina, California, Indiana, Utah, and (now) Colorado. In four of those six states, I’ve participated in critique groups. Some writers do fine without them, and in the two states I lived where I didn’t have a critique group, I still produced a fair amount of work, but I simply enjoy my own process more when I have regular meetings with peers to provide understanding, challenge, and … deadlines! KJ - Do you have any "self-help for writers" books that you use regularly? How do they help? Please share your list of your top 2 or 3. Maria - Around the Writer’s Block, by Roseanne Bane, helps with organizing time and understanding the neurological conditions under which creativity can/can’t flourish. Plot Whisperer, by Martha Alderson, helps with fictional structure and with seeing a sense of purpose in the highs and lows of the process of writing. 7 Secrets of the Highly Prolific, by Hillary Rettig, helps writers understand and improve their own processes and mindsets. KJ - What is one (or a few) of the most important lessons you have learned so far? 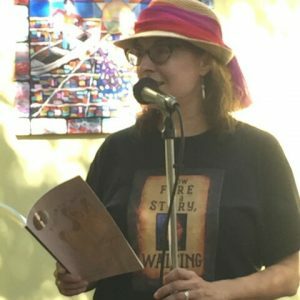 Maria Melendez Kelson is a poet and mystery writer. These very different genres lend a dynamic approach in writing. She has been accepted to a month-long writing residency at the Santa Fe Art Institute beginning in July of 2018. Readers, today we hear from Jason Henry Evans' latest installment on How to Write and Publish Historical Fiction. This month, Jason addresses diversity in historical fiction, the what, the why and the how. It is January of 2018 and having diverse characters is still a big deal in historical fiction. But how do you add diverse characters when the market you write in is pretty, well, white? I mean, how much diversity was in the English Regency? How much diversity was in Ancient Rome? Or Tudor England? How much diversity was in the Highlands of Scotland where my Highland Romance takes place? Ah, never fear, gentle reader. Never fear. We will go over this. But first, let’s check our privilege at the door and understand what diversity really means. What Exactly do we Mean by Diversity? Diversity is not only about race. If you are a new writer without a formal education in history, sometimes the world can seem pretty vanilla. Sometimes it can seem segregated, too. But with a little research and a little creativity you can peel that veneer off of the tableau you’re looking at and discover a rich and varied world. Also – and let me be blunt – you are writing historical fiction. No one is going to get 3 units transferable to the college of their choice by reading your book. You don’t have to be absolutely historically accurate to write a compelling piece of historical fiction. Don’t get me wrong – you do have to get the details right. You gotta know your stuff about horses, crops, firearms and swords. You have to know your way around corsets and fabrics and etiquette and politics. But you do NOT have to be perfect. How do We Write Diversity in Our Stories? So, how do we write diversity into our stories? Maybe you are writing a romance set in the English Regency. You feel diverse characters would add richness to your story and make it pop. But you can’t bring yourself to make one of the supporting characters from Africa or Asia. That’s OK. What if your character were disabled, in some way? A veteran of the war in the colonies who’s now in a wheel chair? Or, perhaps blind? How many romances have disabled characters? What about a supporting character who is very old, but wise? Someone who can reminisce about the love of their youth and give good advice to the protagonist. But if you did want someone to stand out because of their ethnicity and background, please remember, the settings of most of our great pieces of historical fiction have been during times of great exchanges. Many take place in cities or on frontiers where cultures meet, clash and trade. It is there you will find the diversity you seek. My first novel takes place in 1590s Ireland, in the Queen’s Army. It is a hotbed of war and culture clash. English Anglicans work alongside Irish and Highland Catholics. There are Italian mercenaries and French smugglers. And the Spanish. Boy, are there lots of Spanish. More importantly, able bodied women who work in and with the Queen’s Army. Sometimes, they fight too. I’ve said this before, but there have always been gay and transgendered people. Why not have a gay or transgendered character in your novel? It would not feel right to me for my characters to adopt modern attitudes about the gay and transgendered. I think that would be going too far. (Although, open minded people always existed.) But wouldn’t it be a lovely subplot to add to your novel if your protagonist discovered one of their friends were gay and have to wrestle with that knowledge? And, as the book moves forward, your character realizes that their friend is their friend and comes to accept them? I would read that book. But maybe you really want ethnically diverse characters in your novel. Ok. Then let’s talk about diversity. Any story set during the Columbian Exchange is going to have diversity. Native Americans went to Renaissance Europe. (Many, unfortunately, as slaves.) The French, Spanish, Papal and English courts all had ambassadors from the Ottoman Empire. (Turkey.) Those ambassadors brought staffs of servants and slaves from throughout North Africa, the Mideast, and Persia. If your story is set later, say the 18th century, the same thing applies. However, now you can add Indian, Chinese, Filipino, Japanese, and people from Southeast Asia as potential characters into the mix. The closer to our modern period you get, the more diversity becomes apparent. Mexican miners in 19th century Colorado. Black cowboys and buffalo soldiers. Chinese migrant workers who toiled on the railroad and in San Francisco immigrant communities. Is your story set in Medieval Europe? Crusaders sometimes came back to Europe with Armenian and Arab Christian wives and servants. Spain before the Reconquesta was a home for Jewish and Islamic scholars and artist for a millennia. People who came from around the Islamic world. As far south as Timbuktu, and as Far East as Jakarta. That is diversity. Remember, adding diversity to your story can be as simple as thinking about outside the box about the culture you’re trying to explore. There have always been diverse characters, we just have to illuminate them. Jason Henry Evans: Life is funny. In 2004 I moved from Los Angeles to Denver, newly married with a desire to be a great teacher and husband. I dedicated myself to public education and realized my heart was not in it. So I moved on. At the same time I stumbled into a creative world of art and literature I now call home. It hasn’t always been easy, but it has been worthwhile.